I remember riding with my dad in our 1964 VW "BUG." When we went to the service station, I remember they had "Coke" machines with el cheapo soda. But you'd have to pony up for the bottle. They all had pop (not soda) machines (drinks 10 cents, extra 5 cents if you take the bottle with you). Candy machines had chocolate bars for a dime and gum and rolled candy for a nickel. 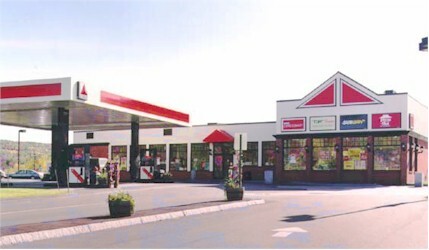 If you're really old you willl recall when gas stations began as a pump in front of an existing store. Then they became the full service auto palaces with mechanics and hydraulic lifts...now back to pumps in front of a store. Ho about the license plate number contest at SOHIO ? Always hoped to find our number on the new list each week for untold riches but never did. Then Jewett Parminter won $98,500 and Jenny Winship walked away with $77,500. Yes, we had the full service gas station until at least the late '70s in my part of W. PA. My mother and I moved west in 1980 and she grumbled for years that she wished she could "pull into Penns'avania" and have someone pump her gas for her! Remember when all gas stations had the "ding ding" run over wire to summon the attendant? Remember when all gas stations were automatically full service?